Project will last 2 years and 2 months (November, 2016 -December, 2018). Is co-financed by the European Union trough the Erasmus+ program, strategic partnership strand. 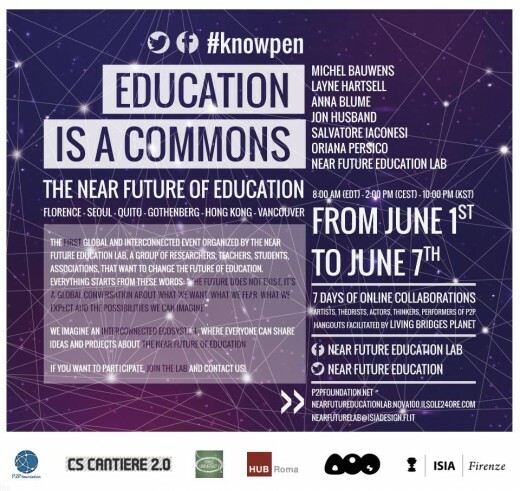 The Near Future Education Lab is organizing “Education is a Commons!” – a first global and interconnected event organized in collaboration with the P2P Foundation and hosted by Living Bridges Planet. The event will take place from 1st till 7th of June with the official opening via Google Hangout on the 1st of June. For the second time last autumn there was launched the Social Innovation Competition which is organized in memory of Diogo Vasconcelos. This time the main theme of the competition was “The Job Challenge” to encourage everyone in Europe to invent new ways that reduce unemployment and its impact on the economy and society now and in the future. 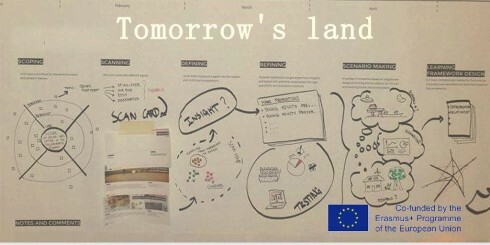 Change Laboratory: Second Floor – dare to dream and make a change!